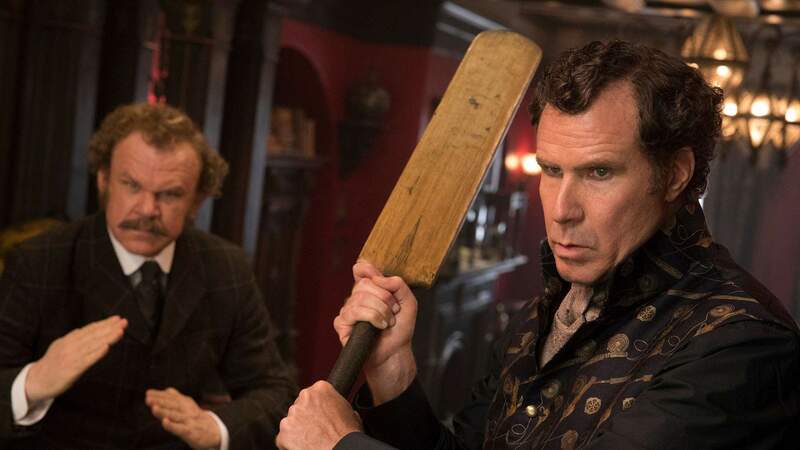 The Will Ferrell and John C. Reilly-starring 'Holmes & Watson' picked up four awards. Come Monday, February 25, Australian and New Zealand time, Hollywood will crown this year's Academy Award winners; however they're not the only gongs being handed out at this time of year. On the weekend before the Oscars, it's always time for cinema's worst and dullest to earn some recognition, all thanks to the Golden Raspberry Awards. Now in their 39th year, the Razzies have unveiled their latest slate of recipients — aka the films from 2018 that you've hopefully avoided. On the list: a comic take on a couple of literary greats, an actor who's also in contention for the best actress Oscar and the current US President. Taking out worst picture is Holmes & Watson, the Will Ferrell and John C. Reilly-starring supposed comedy based on Sir Arthur Conan Doyle's famous sleuthing pair. Reilly also nabbed the awards' worst supporting actor prize for his troubles, while the movie earned Etan Cohen the worst director trophy, too. And, it was further recognised as the worst remake, rip-off or sequel of 2018. In the worst actor field, Ferrell lost out to Donald Trump, who was recognised for his work, as himself, in documentaries Death of a Nation and Fahrenheit 11/9. The American leader also took out the worst screen combo category for the same two flicks, with the award noting his pairing with "his self-perpetuating pettiness". While Melissa McCarthy won worst actress for her two low points of 2018, aka The Happytime Murders and Life of the Party, she also received the Razzies' redeemer award for going "from a multi-Razzie darling to a critically acclaimed Oscar Nominee for her out-of-caricature role in Can You Ever Forgive Me?". And, bringing the franchise's Razzie total to eight trophies across three movies, Fifty Shades Freed was anointed the worst screenplay of the last 12 months. Actress: Melissa McCarthy, who went from a multi-Razzie darling to a critically acclaimed Oscar Nominee for her out-of-caricature role in Can You Ever Forgive Me?. Actor: Tyler Perry, from a multi-Razzie nominee and winner for his self-imposed Madea trap to his role as Colin Powell in the Oscar and Golden Globe favourite Vice. Director: Peter Farrelly from Razzie Winner for Movie 43 and more shallow choices like Dumb and Dumber 2 etc… to director/co-writer of the deeply heartfelt Green Book. Franchise: From the Razzie-targeted heap of metal Transformers to the more innocent and endearing three-dimensional approach taken with Bumblebee. Sony Animation Studio from crass multi-Razzie winner Emoji Movie to the highly acclaimed Spider Man Into The Spider-Verse, which was loved by critics and audiences alike.